The 10 Best Bakeries in Iowa! Nothing quite beats that first step into a great bakery, when the aroma of freshly-baked goods hits your nose and you know you are in for a treat. 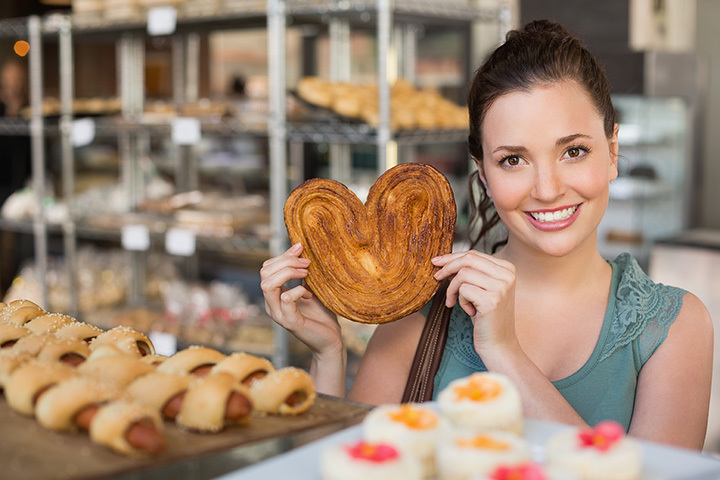 Whether you are searching for some fresh bread, a delicious pastry or maybe a delectable homemade cake, the state of Iowa will not leave your sweet tooth unsatisfied. That’s because throughout the state you can find pâtissiers perfecting their trade and willing to share, and to get you started sampling these sweet and savory bakeries, it’s worth checking out these 10 best bakeries in the state of Iowa. Located in the Roosevelt Cultural District of Des Moines, La Mie Bakery provides a vibrant neighborhood spot for students, co-workers and community members to gather alike. While the aesthetics are comfortable, it’s the fresh-made, artisan bread and pastries that really make La Mie a popular spot. Made entirely by scratch minutes before you purchase them, the long list of fresh breads, delicious pastries and decadent desserts at La Mie is what makes this bakery one of the best in Iowa. The moment you walk through the door of Deluxe Iowa on Summit Street in Iowa City, you can smell why you’ve made the right choice. That’s because the smells from the oven include cookies, cupcakes, tarts and pies, just to name a few. Whether it’s the sweet spot in Iowa City on a scenic street, or the sweet spot every menu item hits on your palate, this slightly-hidden gem of Iowa City is worth the visit and many more. The town of Pella offers a touch of Holland throughout the town, and the Jaarsma Bakery on Franklin Street offers the complemented taste of the cultural background. Featuring Dutch classics like Dutch letters, almond crispies and drool-inducing crème horns, the Jaarsma Bakery also offers a whole array of cookies, candies, breads and bars, ensuring that you’ll find something new to fall in love with each time you visit. Savory croissants, Dutch pinwheels and pecan sticky rolls, these are just a few of the menu items you can find at the Scenic Route Bakery in the East Village of Des Moines. The Scenic Route Bakery adds to their selection with light lunch options and an espresso bar, as well as a comfortable environment to take some time off your feet, making for this bakery another must-visit spot within the East Village of Des Moines. If you have never considered yourself a cupcake fan, then you have not had a cupcake from Scratch Cupcakery in Cedar Falls. With a freshness of recently picked flowers and handmade icing that nearly melts in your mouth, whether it’s a banana cream, maple bacon or salted caramel cupcake, or any of their hundreds of other flavors, you’ll see why Scratch Cupcakery is becoming world famous and spreading locations all across Iowa. Providing “a little Dutch in the heart of Iowa,” the Van Hemert’s Dutch Oven Bakery in Ames is a family-owned scratch bakery that fills the streets with the smell of sweets. Van Hemert’s offers all kinds of donuts, hot breakfast options and celebratory cakes, but what really has kept their business open since 1983 is the classic Dutch pastries and house-baked breads that come fresh out of their Dutch Oven door on a daily basis. Specializing in custom-baked desserts for your next gathering, the Sugar Shack Bakery delivers far beyond the ordinary wedding cakes, cookies and bars. With expertly crafted precision, the wedding cakes truly embody an art form, and the decorated cookies nearly look to well-crafted to eat, yet it’s not just the appearance that makes the Sugar Shack a Western Iowa bakery landmark, it’s that sweet taste of something made just for you. While Kathy’s Pies has plenty of pastries, cookies and cakes that are worth the drive to Cedar Rapids, to no surprise it’s the pies that Kathy’s takes real pride in. butterscotch cream, strawberry rhubarb, key lime or lemon meringue, these are just a small number of all the options of pies to be found at Kathy’s Pies, with no end to the debate of which flavor reigns supreme. You may spend some time looking through the glass at Mad Ox Bakery, because with a seemingly never ending selection of bars, breads, candies, cupcakes and gourmet donuts to look it, picking something out could be difficult. Stick with an old favorite or go for something new, perhaps a loaf of sour rye with caramelized onions, either way you won’t be disappointed with Mad Ox Bakery out of Council Bluffs. Once referred to as Page’s Bakery, the Storm Lake Bakery has undergone a name change in the last few years, but still delivers beyond expectations on the same great taste that established the original business over 100 years ago. Whether you are looking for hand-crafted cakes, baked-fresh bread loaves, or plenty other products including donuts, cookies and turnovers, then Storm Lake Bakery is the right place for you. View more Iowa Bakeries and Pastry Shops.